Food Waste may not be on top of everyone’s priority list but it is an issue that we must pay attention to in order to connect food consumption to more sustainable methods of waste management as well as to soil conservation. Food waste can take many different forms such as throwing out good food, failure to divert food waste from landfills, and under-utilizing the potential of composting as a way to recycle food waste. Efforts are being made around the United States to reduce the amount of food sent to landfills. Nevertheless, a lot of good food is being thrown away that is still edible because of overstocking or cosmetic blemishes. 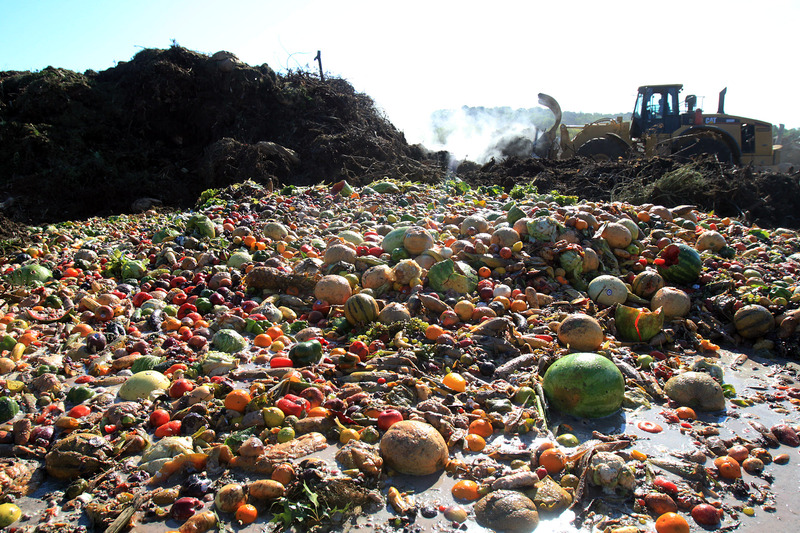 In 2009, more than 30 million tons of food was dumped in landfills, a shocking statistic of how we Americans waste food. Do we not think of all the starving people around the globe when we waste food? Furthermore, rotting food in the landfills releases monolithic proportions of methane, a powerful greenhouse gas, thus warming up our climate. Food rotting thus contributes to global warming. This process is not invisible or abstract. I have seen this gas being released into the air in the Philippines. There was once a mountain called “Smokey Mountain” located in the heart of Manila, Philippines. This was not an actual mountain of natural earth, but one of trash and food waste. The food waste combined with the extreme heat of the tropical climate of the Philippines was disastrous. I could actually see the gases being released from the mountain into the air. It was quite a horrible site to see, not to mention the smells. There are many consequences to our national habit of sending food to landfills. 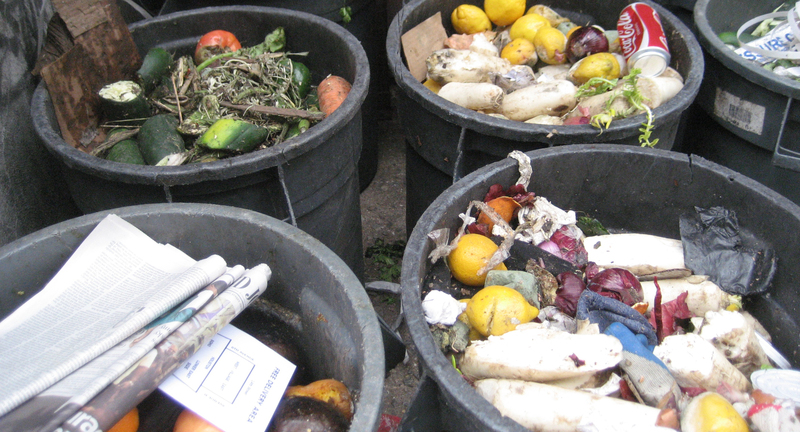 American food waste has significant environmental, economic, and cultural ramifications. Wasting food squanders time, energy, and resources, for both money and oil is used to produce that food. Increasingly, great amounts of fossil fuel are used to fertilize, apply pesticides to, harvest, and process food. Still more gas is spent transporting food from farm to processor, wholesaler to restaurant, store to households — and finally, from the garbage bins to the landfill. In addition, food waste is a threat to groundwater. Food waste can be minimized at home, in grocery stores, as well as in restaurants. As reported in studies, major grocery chains have taken efforts to mitigate wasting food by sorting out the spoiled food by separating it for organic usage. Furthermore, the way the food is packed can eliminate or at least shorten food waste by packaging foods in smaller quantities such as meats. As consumers, we can minimize food waste by buying less and throwing out less. Buying in smaller quantities means that we will most likely at least finish eating the food and throw out less. Thus, the way we package food can make a significant difference on how long we can keep food from spoiling. According to a 2012 article from the Irish Examiner, “Shoppers want packaging that keeps food fresh longer, thus producing less food waste.” The process of packaging food differently actually can save money for the consumer and the producer, and even more importantly, this process is environmentally friendly. Food is packed in smaller quantities and smaller units making a less impact on transporting and storage costs. Dumpster diving has been a growing trend in American and other countries around the world. Admittedly, there are people in third world countries that “dumpster dive” every day in order to survive. Although the United States is the world’s most affluent country, we have to take these issues into perspective. If the food we are throwing out is still edible, then why do we do it? The growing trend in America is simply not just to survive but to sustain our food resources and to create environmental benefits. Food waste can be sustainable, however. There are companies that are adapting a policy called “Zero Waste.” Schools and supermarkets are currently trying to adapt this policy. In addition, Wall-Mart’s stores have embarked publicly on a zero-waste campaign, though Trader Joes and Whole Foods have yet to adopt this strategy (Seifert 2010). Food waste is not limited to just wasting food. In other words, food is connected to water issues and fuel issues. The food industry uses more fuel than any other sector of the economy (Seifert 2010). In short, in order to work toward a more sustainable life, we need to stop wasting food and money. It takes time and effort to make food, store food, and deliver food. As a consumer, we need to make responsible decisions on how much food we purchase. Furthermore, our responsibility also includes how we store our food and dispose of our food. It’s easy to say that we don’t contribute to the overfilling landfills across America because we think that we don’t waste that much food. Although in reality, we waste a lot — and this becomes our responsibility if we want to have a sustainable living without worrying about the rise of food costs and transporting fees.